"BabyGirl have lost their way to home.Their mother is in search of them. 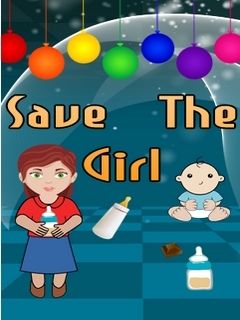 Please help her out in doing this.You have to make path for the mother to save Girl.Save The Girl is a pure strategy game where you have to make strategy to clear all the well defined levels. Collect milk to reach the destination.Its pure timer based game where You have to reach the destination before time to reach next level. Enjoy the game and give us your valuable feedback."